A student exchange program is organised between two or more colleges or universities in which students from one institute visit partner institute for academics, cultural activities or any other community service. In this program Army Institute of Management Kolkata students of MBA21 batch visited Army Institute of Management and Technology at Noida. This was a 5 days short term program from Sept. 25th 2018 to Sept. 29th 2018. Twelve students (7 boys and 5 girls) were selected for this exchange program. During this program the students were exposed to an intensive business simulation concept by a guest speaker. The business simulation consisted of 2 parts. First part was an introduction session describing what is business simulation about, how it is done and what are its benefits. The second session focused on practising on virtual simulation tools that can be very useful before going for any start-up venture. By using this virtual platform one can increase and strengthen his logics, master analytical skills without risking any capital investment and can head to become a successful entrepreneur. Dr. Mohd. Yaseen Khan Asst. Professor (Marketing), an in-house faculty of AIMT, delivered a lecture on International Business to the students. Students visited the famous places in Delhi during this program. They were taken to the Victory Tower at India Gate to commemorate the Indian soldiers who fought and died in World War II. Located at the centre of New Delhi, India Gate, is the India’s national epitaph. Amar Jawan Jyoti was added after India’s independence in 1947, which burns day and night under the arch to remind the Indo-Pakistan War of December 1971. Apart from this the students were also taken to Red Fort and Akshardham temple. Overall this exchange program benefitted students by increasing their understanding of other's education, cultures, bonding as well as personal development. This year the students of AIMT, Noida were invited to AIMK campus under student exchange program form 10th -14th October 2017. Eleven students from AIMT ( 5 boys and 6 girls ) visited AIMK for 5 days. The program consisted of a unique exposure to academics and industry. A number of special academic sessions were conducted during the program. 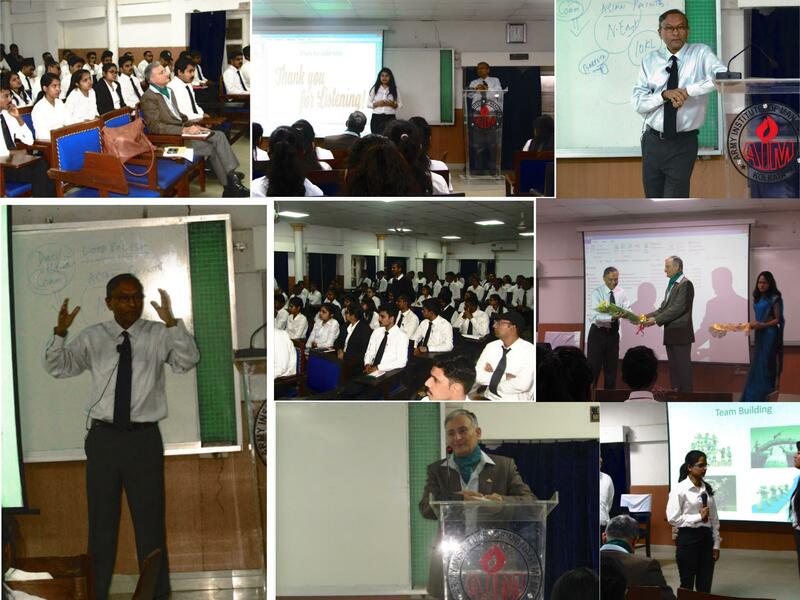 Eminent guest speakers from the industry also delivered industry oriented lectures. Students had visited GRSE for experiencing the real life scenario in the industry. The students also participated in various management games & workshop organised by in-house faculty members. The students of AIMK were invited to AIMT. Noida from 25th-29th October, 2017. Ten students (5 Boys & 5 Girls) visited AIMT, Noida as a part of student exchange program. The exchange program consisted of intensive academic and industry oriented lectures, delivered by various academicians and corporate speakers. The students also participated in the HR meet of AIMT, Noida. Students of batch MBA-19, went on Student Exchange Program with Army Institute of Management and Technology, on 11th Feb 2016 for 10 days, It Included an interactive session with the Director, Faculties and Students of AIMT. 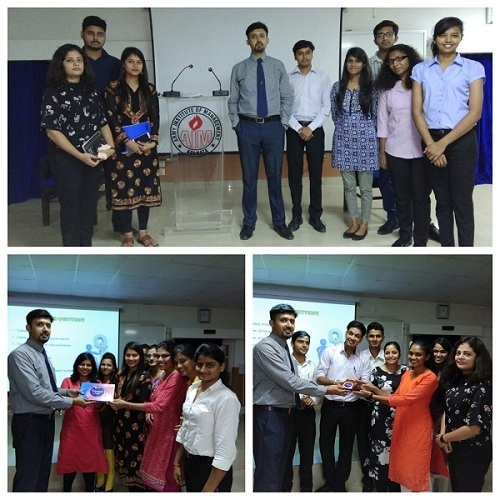 The institute had organised a student exchange programme for the students of Army Institute of Management & Technology, Noida from 27th April, 2016 to 01st May, 2016. It Included an interactive session with the Director, Faculties and Students. Industrial visit to Emami and Coca Cola, Kolkata darshan (Victoria memorial ,Fort william museum), cultural show and dinner at restaurant. Five students from MBA 17 participated in the Student Exchange Programme. They went to AIMT Greater Noida on 07.01.2014 and stayed there till 10.01.2014. The students are (a) Sumanta Ghosh (b) Sushmita Bhattacharjee (c ) Lokesh Kumari Sharma (d) Manjeet Choudhary (e) Kaushik Ghosh.